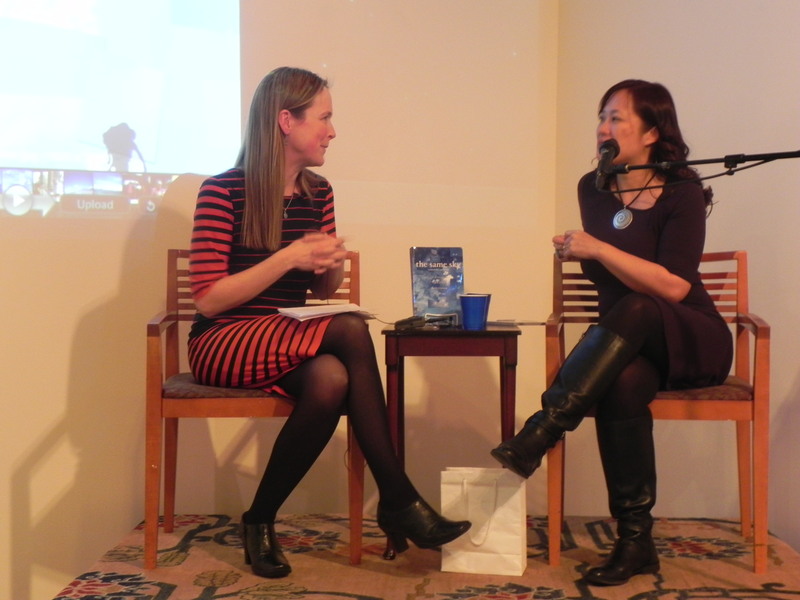 Highlights From My Book Launch! Welcome to THE SAME SKY book launch! 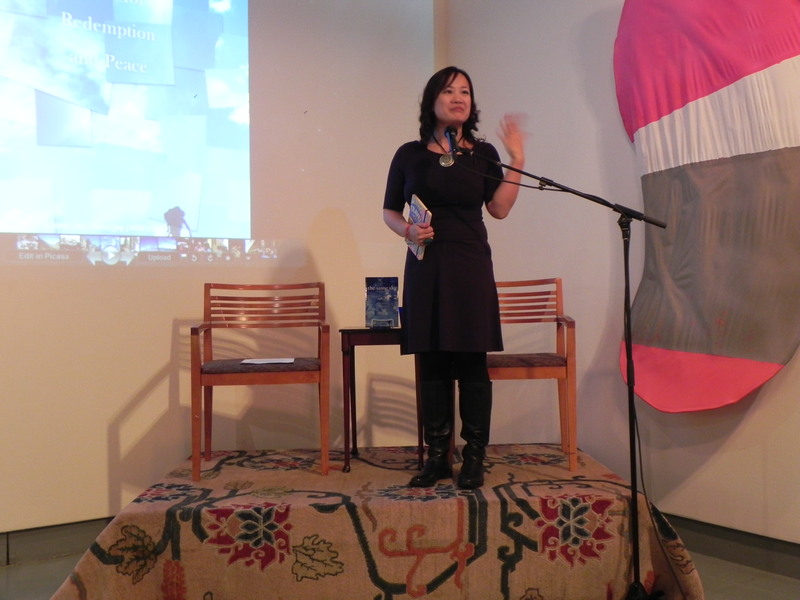 My book launch of THE SAME SKY last Friday was a big hit! I remembered how nervous I was in the days and then the hours leading up to my event. And as I saw more and more people stream into the Tibet House, I relaxed. I felt warmed by all these people I knew over the years from all facets of my life. And that TODAY was the big day to release my book to everyone. 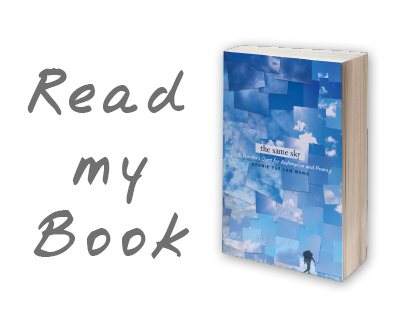 It is finally the end of a long literary journey, and the start of a new beginning for THE SAME SKY, which has been “my baby” as I’ve watched it develop from an idea to a full fledged memoir. To me, the book is grown up now and ready to explore the world! 1. When I came to New York in 2000, I didn’t know a soul. So I was thrilled to see that so many of my friends I’ve made over the years turn up to show their support. Some of them I haven’t seen in years including work colleagues (former and current), writer circles, Canadian expatriates, biking team members, hair dresser, strength trainers, and neighbors. Many came as far as Washington DC, Vancouver, North Carolina and Prince Edward Island. Wow! Their beautiful smiles in the audience reminded me of how all of us touch people in their lives, and they in return have a soft spot in our hearts. Heartfelt exchanges I had with the locals during my trip are just as special as the friendships I have made here in NYC and I’ll never forget them. 2. What an interactive event! 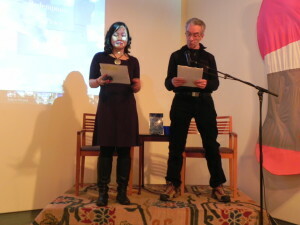 I wanted to ensure it was a creative evening with lots of readings, including Q&A which my best friend Jenny helped host. Well done! I read several excerpts from THE SAME SKY and then I invited other readers to share their stories from traveling to Saudi Arabia and Mali. 3. 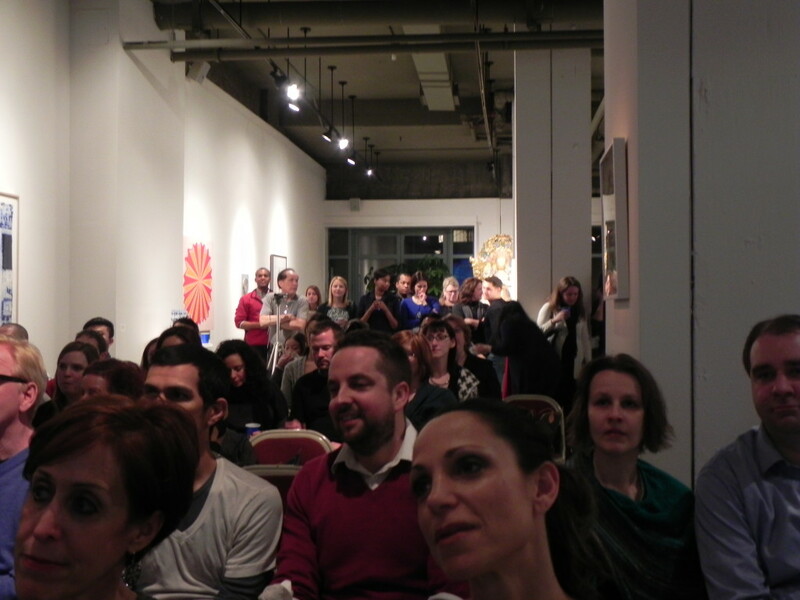 Since the event, a few have reached out to me to share that they feel inspired to travel to Southeast Asia. Wonderful! One woman described how she recently suffered a breakup and would like to read THE SAME SKY as a way to reflect on her situation and rediscover herself again. Good for her. -1: awesome and successful book launch! What’s next? Stay tuned for more readings in NYC and elsewhere, even a debut of Mom Wong, a monologue that describes the hilarious yet poignant perspectives of immigrating to Canada. Thanks again for all your support over the years! Booths lined the perimeter of Barkhor Square. At such an early hour of the day, Tibetans were setting up their wares, stacking items in a haphazard way as early-bird shoppers perused the merchandise. 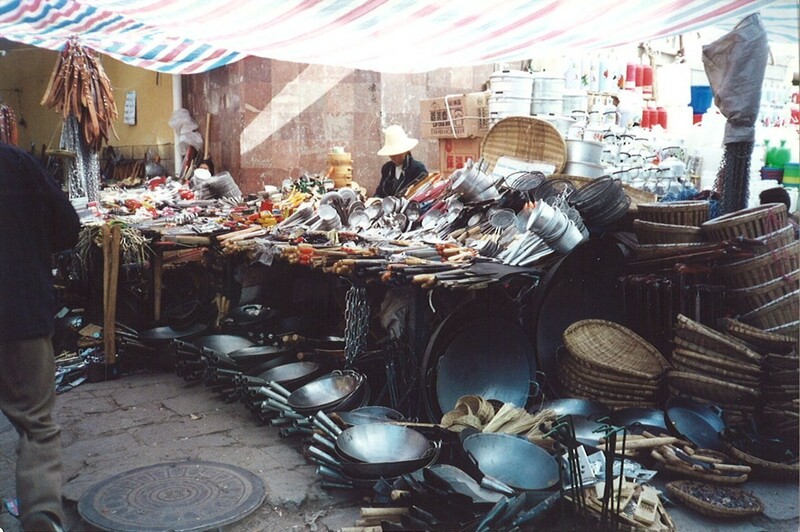 One booth sold everything metal: pots, pans and utensils in every imaginable shape and size, stacked one on top of the other on the ground, spilling out the sides and front. Another sold everything plastic: buckets, containers and plates. Other booths sold meat, vegetables and grains like barley, a Tibetan staple. At one stand, a vendor called out prices while locals picked up pieces of imported fruit, smelled them and placed them back carefully. I wanted to buy everything, even the things I had no imaginable needs for—a metal carrier for a live chicken, a barley sifter, a three-foot prayer wheel, a yak leather belt—anything for such cheap prices. Instead, I bought a set of prayer flags for ten cents, twenty of them strung together, rolled carefully and wrapped in the daily Chinese Communist paper. The flags would remain in my backpack until I reached the highlight of our Tibetan journey—the Mount Everest Base Camp. 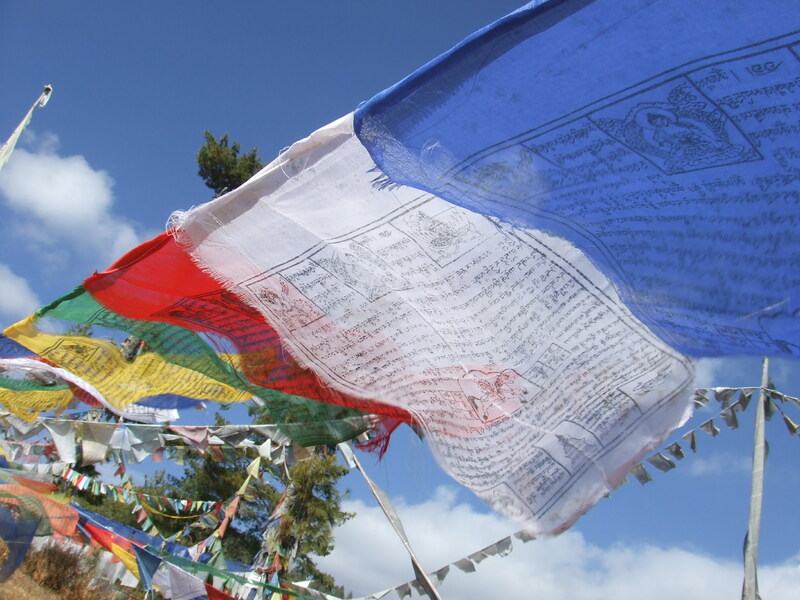 There, at the highest destination at 5400 meters above sea level, we would string the prayer flags with the rest of the flags from other visitors, travelers and pilgrims. I couldn’t bargain too hard when I knew the Tibetans relied heavily on purchases by foreigners, and competition was fierce with so many stalls selling similar items. The owner’s wife was squatting behind the booth, delicately gluing tiny pieces of coral and turquoise beads onto metal jewelry boxes while her toddler played with a mini set of prayer flags, fanning them out like paper cutouts. When I turned around again, a beggar woman with a small child in tow pressed up against me, her dirty palms gently prodding my arms. She was possibly the same age as me, perhaps younger but it was difficult to tell from the permanent creases on her forehead and her tired eyes. When she opened her mouth to plea for money, I noticed her gums were black and most of her teeth were gone. She was poor. And not poor like back home in Vancouver. Even the beggars I had encountered in Beijing were never this disheveled. This Tibetan beggar’s clothes were so shabby and covered with large holes that at first I thought she had mistakenly missed the armholes when she put on her shirt. I felt embarrassed and ashamed for the exotic ideas about Tibet that had held for so many years. All I had seen so far was suffering, squalor and oppression. It was almost too much; poverty crowded my vision wherever I turned my head. With my clean clothes, wad of cash in my money belt—more than any of them would see in a lifetime—and a passport that could take me to practically any country in the world, I was always going to have more, always going to be ahead. My fingers would never be caked in mud, with lines of dirt making their permanent place under my nails. And I didn’t know if I should feel pity, relief or guilt. I had grown up in a middle class neighborhood in east Vancouver, a popular hub for newly landed Asians because of its affordable housing. I always had enough growing up, but our family couldn’t afford too many luxuries, like annual vacations or new clothes. While my elementary school classmates showed off bright crisp clothes in September, the price tags clipped the night before, I wore hand-me-downs. While the other kids took piano lessons, I taught myself a few bars on my fake piano: a wooden desk etched with keys. At dinner, my mother would urge my sisters and me to eat the vegetables that lingered in our bowls: Be proud of what you have. Some people don’t get enough to eat. Now I was in a country where the class divisions were poor and poorer. These were the people that my parents had used as a bargaining tool to get us to eat our horrid spinach. I slipped a few yuan in the beggar’s hand. She nodded and carefully folded the bills, which disappeared in the tattered folds of her clothes. Then she was gone. And I was left with guilt that I couldn’t do more for her. This is an excerpt from THE SAME SKY. For more excerpts, click here.